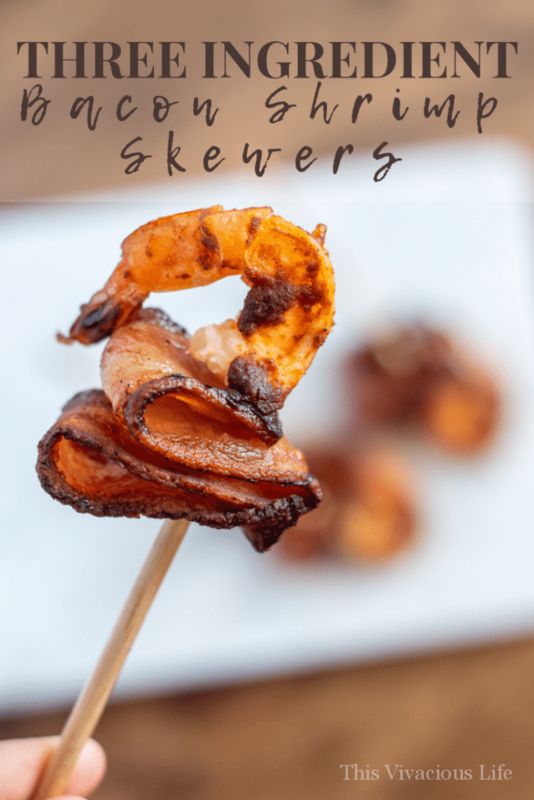 I love making these bacon shrimp skewers lathered in bbq sauce because they are so yummy and couldn’t be easier! Thanks to Dry Sparkling for sponsoring this post. 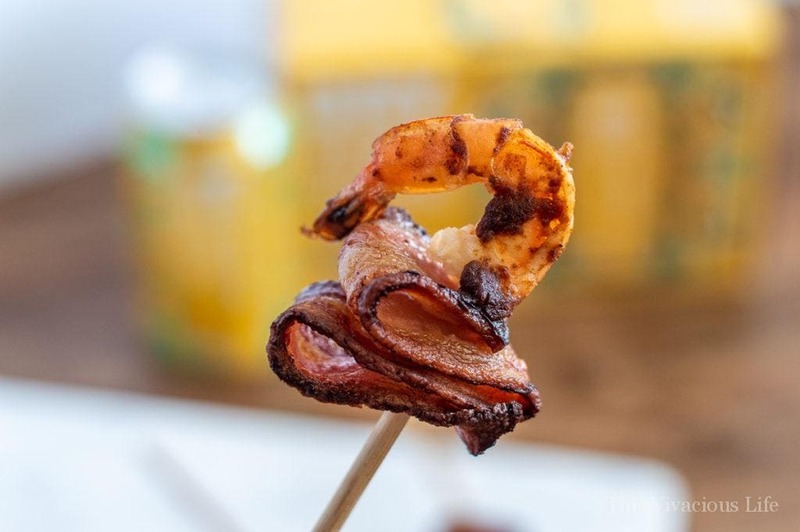 Bacon shrimp, I mean, does anything sound better? 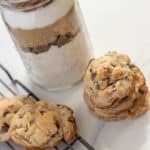 I use literally three ingredients for these bad boys and everyone just loves them! 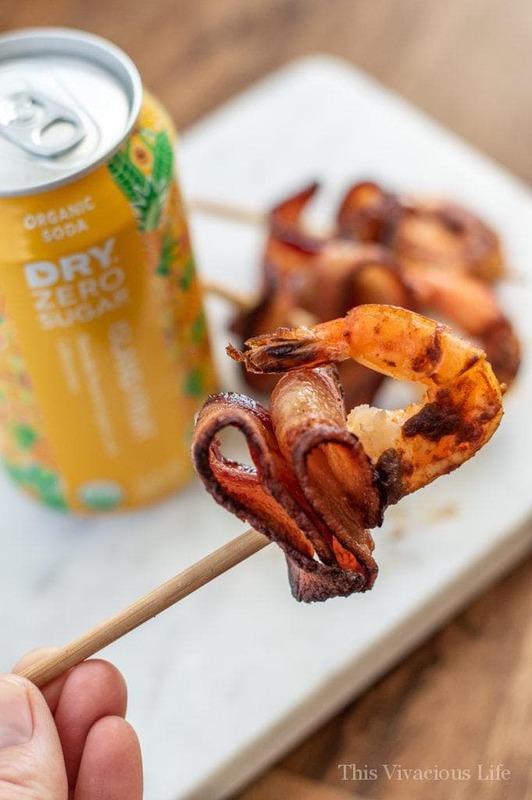 They pair perfectly with the new Dry Zero Sugar Island Fruit Soda. 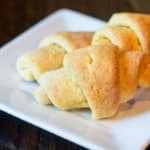 I am a fan of the easy appetizer. There are many times throughout the year that I serve appetizers only so having a good repertoire of them, helps. On New Years Eve, Super Bowl, Thanksgiving morning and plenty of other times, it’s a snacks only spread in our house. 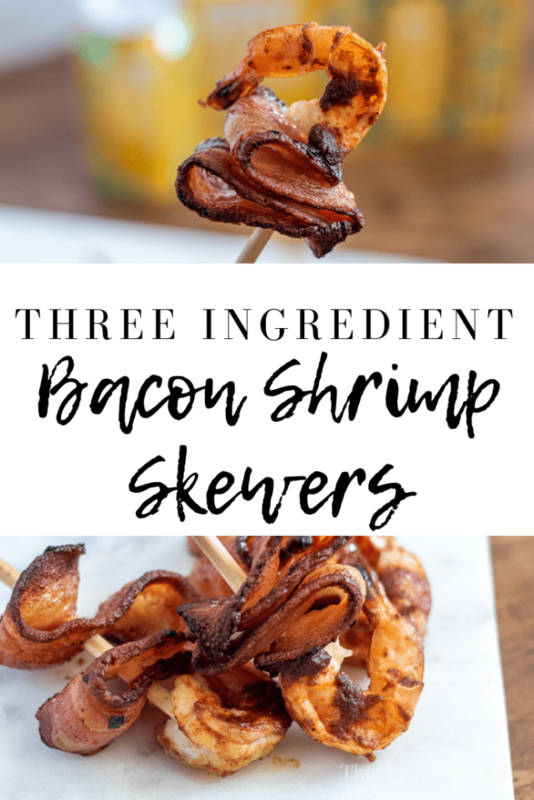 The kids always love these days most and because of easy recipes like these bacon shrimp, I do too. 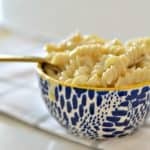 I always love to whip up a batch of our Instant Pot artichoke dip and the BEST ever cheeseball. 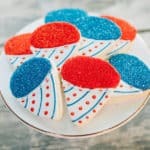 But, some easy snacks like these and a classic shrimp cocktail or chips with our sour cream dip, are great too. 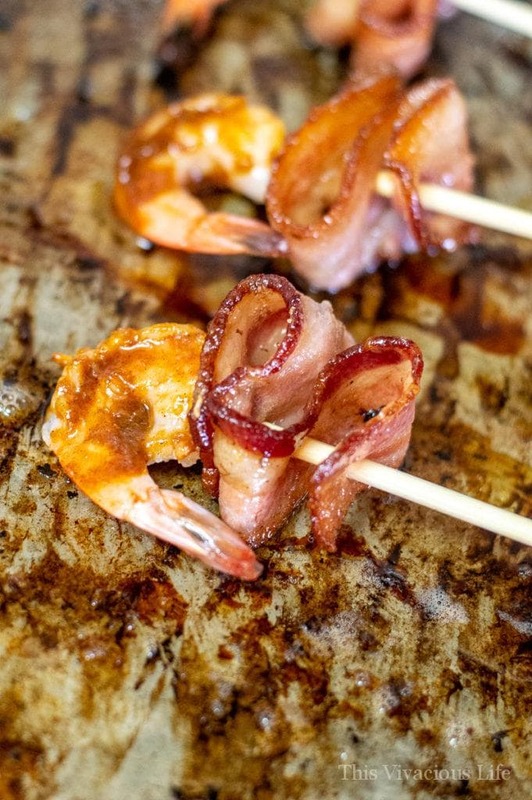 How do you cook the best bacon for bacon shrimp? 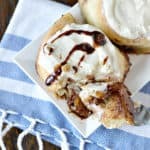 It is best to use thick cut bacon for this recipe. It really provides a delicious smoky and salty flavor that’s perfectly chewy. I lay the slices out across a baking sheet and par bake them for 10 minutes at 350 degrees. 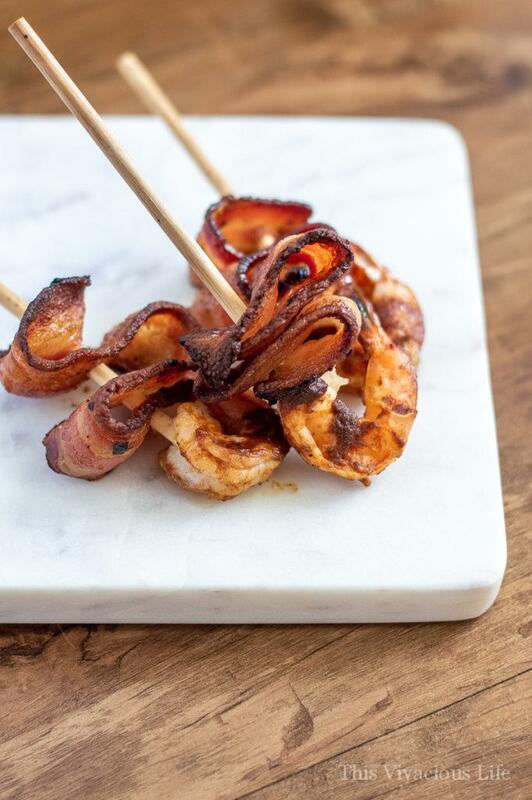 Once you take them out of the oven, carefully skewer the bacon back and forth until it is completely on the skewer. 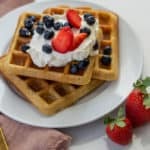 Maya from Wholesome Yum shows you how to cook bacon in the oven a bit different than I do but I think you will like it as well! 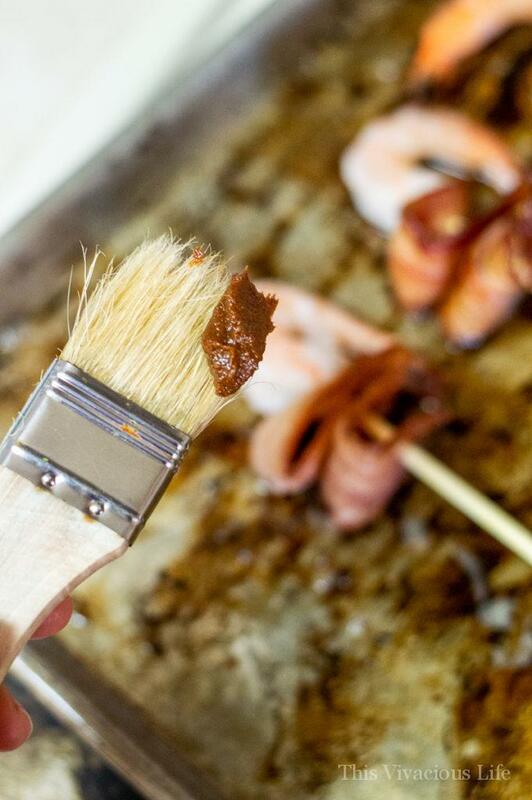 Then, simply skewer the shrimp on the end and lather on your favorite barbecue sauce. 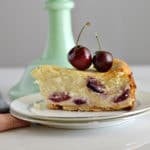 All that’s left is another 10 minutes in the oven and you are done! 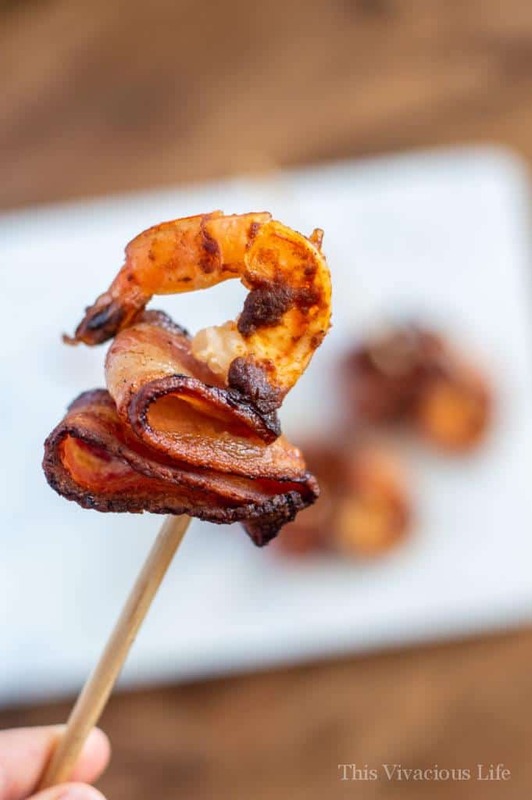 Which shrimp is best to use for these bacon shrimp skewers? 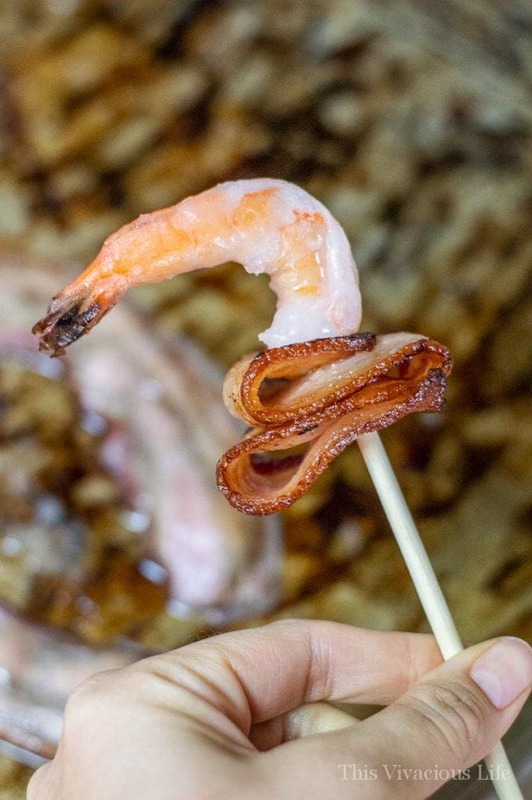 I like to use peeled, deveined, tail-on cooked shrimp. I usually use the 50/70 but the 31/40 works great as well. 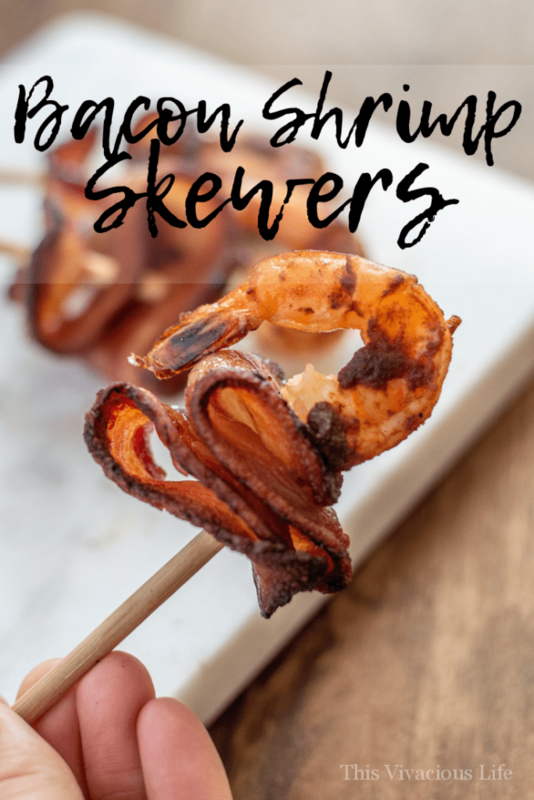 I actually just pull them out of the freezer 10 minutes of so before I put these bacon shrimp skewers together. They seem to skewer better when just slightly frozen. 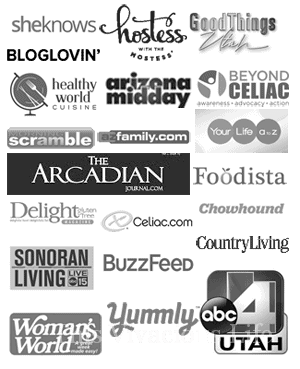 Since I am a fan of dips, I also recommend Sharon from What the Fork’s crack dip. 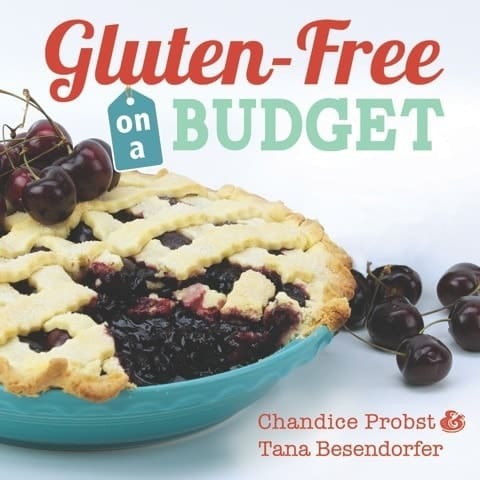 Chrystal from Gluten-Free Palate also has a great roundup of gluten-free dips! 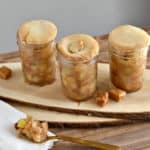 Making easy appetizers like these, gives me the time to visit outside of the kitchen with everyone who’s there. It also makes clean up a breeze! As you guys know, I LOVE Dry Sparkling products! 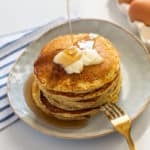 We’ve used them to make Instant Pot lavender cream brûlée, sticky orange chicken and gluten-free apple fritters. 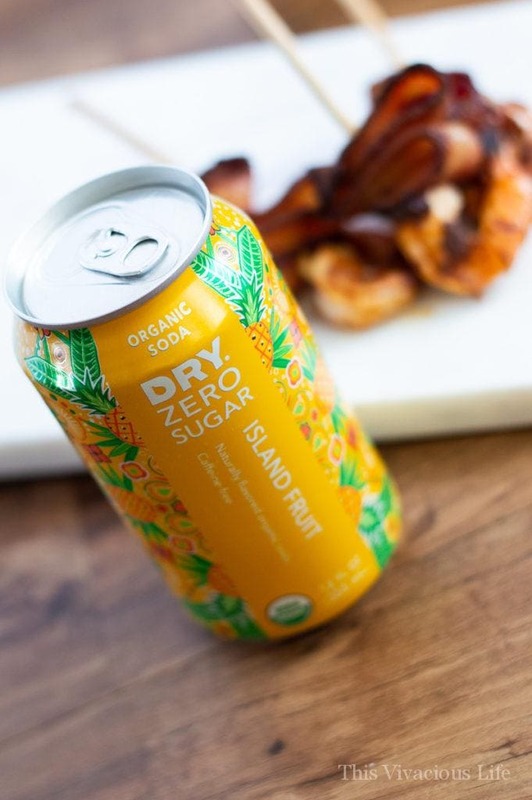 These new Dry Zero Sugar sodas are a great way to enjoy big soda flavors without all the sugar. They come in Island Fruit, Cola, Mountain Berry and Peach Tea varieties. 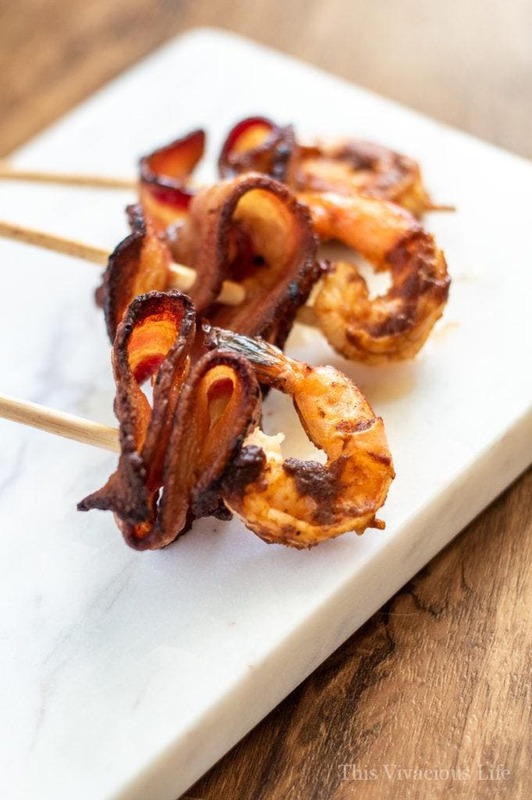 You can take these bacon shrimp skewers up a notch by also adding on some veggies. I like peppers, onions or zucchini. Feel free to also make it more turf than surf by adding little chunks of chicken or steak. Or go more surf than turf with little chunks of mahi mahi.